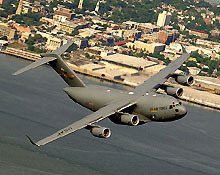 On 1 October 2010 the Naval Weapons Station combined with Charleston Air Force Base to become Joint Base Charleston. The transition was seamless with little or no reduction in services. Both locations remain intact. The charming historic seaport of Charleston, South Carolina has something for everyone and very strong military community support due to the high number of military and retirees. Charleston offers the easy pace of a southern coastal community combined with "Old World" sophistication.